WSU’s Community & Economic Development (CED) department is a statewide consortium of education and business experts. Economic development is defined as the sustained, concerted actions of policy makers and communities that promote the standard of living and economic health of a specific area. Economic development can also be referred to as the quantitative and qualitative changes in the economy. 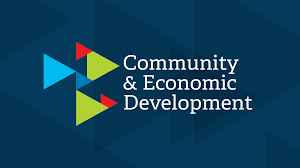 In other words, community and economic development are the cornerstones of building partnership and opportunities that lead to a thriving community. In addition to working with University experts and specialists, the WSU Ferry County Extension Office has partnered with many organizations to serve the community (including but not limited to) Washington Department of Commerce, Tri-County Economic Development District, Republic Chamber of Commerce, Republic Visitor’s Bureau, and WSU Extension Offices in other counties. We recognize that our small businesses and small farmer/ranchers are an integral part of our economy and community. The New Washington State University Food Systems Program delivers multidisciplinary expertise across academic, research, and extension, providing specialized resources for farmers and food systems contributors. We seek to work with communities throughout the state to foster viable farm businesses, optimize sustainable natural resource stewardship, and to promote scaled processing and distribution, always in the pursuit of access to healthy food for all. Visit foodsystems.wsu.edu for more information. To advance food systems research and development to help our local communities, WSU is strategically building a network of support across our tri-county region. Click here for more information. Business retention, incubation, and education programs and curriculum are offered at various times. Watch for upcoming events on this page. If you or your business require specific training or educational resources, please contact our office. Tourism. Specifically, Agritourism involves any agriculturally based operation or activity that brings visitors to a farm or ranch. 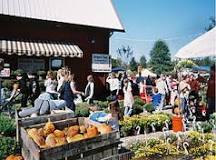 Agritourism includes but is not limited to farm tours, roadside stands, certified farmer’s markets, corn mazes, outdoor events such as fishing or hunting on a farm, festivals, events, and farm stays. The USDA states, “People have become more interested in how their food is produced. They want to meet farmers and processors and talk with them about what goes into food production. For many people who visit farms, especially children, the visit marks the first time they see the source of their food, be it a dairy cow, an ear of corn growing in a field, or an apple they can pick right off a tree.” Farmers and ranchers use this interest to develop traffic at their farm or ranch, and interest in the quality of their products, as well as awareness of their products. WSU Ferry County Extension is proud to assist in promoting our county’s agritourism businesses to help t hem thrive in order to stimulate economic development in our communities through tourism. Check out our printable Farms & Recreation brochure! It was created by The Goat Farm – Goat Patrol and printed and distributed by WSU Ferry County Extension. 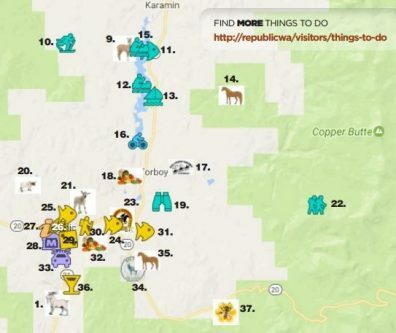 We also have an interactive map and information about our local agritourism and producers here.